The company has set up the Open4Business web portal, which gives local business the opportunity to share in investment being carried out by SSE. Scottish Hydro Electric Transmission, a division of SSE, has received consent from Moray Council to build a new substation at the site of the existing substation at Blackhillock. The Open4Business team will be holding an event at Ugie House Hotel, Keith. This event will give local businesses the opportunity to meet the team, register their business and learn more about the scheme. 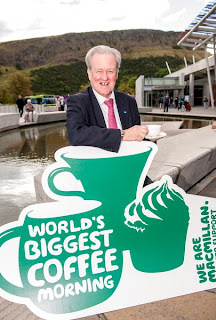 “I am pleased to see that SSE is looking to support small and medium sized businesses in the area. “It can be difficult for companies to discover what opportunities are available and for organisations to know which businesses are able to provide them with the services that they are looking for. Scottish Hydro Electric Transmission plans to upgrade the electricity transmission in and around Blackhillock. Alongside the principal contractors, a consortium of Bam Nuttall Limited and Siemens Transmission and Development Limited, they are hoping to meet suppliers and award a share of the £120 million contracts to local businesses. The Open4Business team will be at the Ugie House Hotel, Keith, AB55 5BR from 2.00pm to 6.00pm on 9 October 2013. (R) Voluntary Declaration: My family and I are small shareholders in SSE. The total amount is below that which Parliamentary rules require be published in my Register of Interests. Stewart Stevenson, SNP MSP for Banffshire and Buchan Coast has this week raised the issue in a parliamentary question to the First Minister about proposed privatisation of Royal Mail. Royal Mail is set to be privatised in October this year, however, the plans have been heavily criticised by the SNP and union leaders. This sell-off is widely regarded as the largest privatisation since John Major’s Government’s railway privatisation in the 1990s. The First Minister had sent a letter to Prime Minister David Cameron calling for a moratorium on the privatisation of Royal Mail. Mr Stevenson in a parliamentary question asked the First Minister if David Cameron had answered his calls to consider setting up a moratorium into the proposed sell-off. However, the First Minister Alex Salmond responded that he had not yet had any response. “I am disappointed to learn that David Cameron has failed to reply to the First Minister’s request for a moratorium to consider the privatisation of Royal Mail. “The sell off of Royal Mail is a real concern for many constituents in the Banffshire and Buchan coast area and across Scotland. Rural communities rely heavily on the postal service- a reliable service is essential for providing a lifeline to people and businesses. Banffshire and Buchan Coast MSP endorses outdoor learning with Scottish Teacher of the Year, Jenny McAllister, Education Officer of the Scottish Seabird Centre. Stewart Stevenson MSP met with the Scottish Teacher of the Year, Jenny McAllister and Tammie the Puffin at the Scottish Parliament, to endorse outdoor learning in Banffshire and Buchan’s schools as part of the Curriculum for Excellence. Jenny is the Education Officer at the Scottish Seabird Centre, an independent visitor attraction, conservation and education charity, which runs a Seaside School for outdoor learning. It has proved an outstanding success in its first 18 months, with Jenny’s work in encouraging children to learn and develop through outdoors experiences winning her the title of Scottish Teacher of the Year 2013. Jenny is the first non-classroom teacher to win the award. There are numerous imaginative opportunities available in the Banffshire and Buchan area for outdoor learning, and schemes such as the John Muir Award also encourage local pupils to connect with and enjoy wild places within the structure of the Curriculum for Excellence. 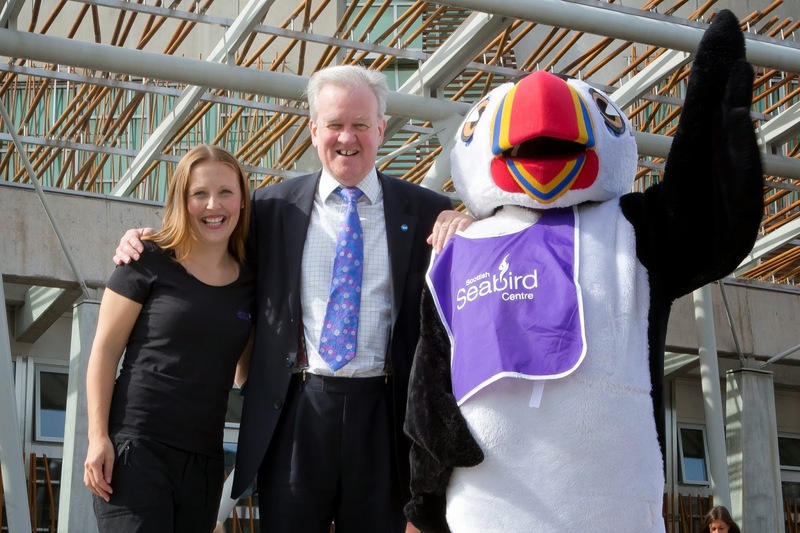 “I am delighted to learn about the fantastic work being undertaken by the Scottish Seabird Centre to encourage school children to get involved in learning in an outdoor environment. “The Seabird School, working with Jenny McAllister as their educator, are providing interesting and innovative new ways of connecting with young people. “The Banffshire and Buchan area provides a rich natural heritage and it’s great to see the Scottish Seabird Centre providing schoolchildren with the opportunity to explore and learn first-hand about their local area". “In my childhood I loved playing outdoors, but in one generation that has changed. Children have become more tied to indoor pursuits, and that has led to a gap between people and nature. “That’s why I see learning outside the classroom as being so important. In England, it would appear that resources have been diverted away from outdoor learning – this is disappointing because it would mean English children are missing out on what I believe are vital learning experiences in the natural environment. “So the Scottish Government, along with the largely supportive opposition parties, deserves much credit for pushing this up the agenda. I’m so proud and happy to be teaching in a country where progressive and sustainable outdoor learning opportunities are now firmly embedded in the Curriculum for Excellence. The Current Account Switch Service, launched on 16 September by the Payments Council, is a new free to use service designed to make switching current account from one bank or building society to another simple, reliable and hassle-free. It has initially launched with 33 bank and building society brands, offering the new service and the accompanying Current Account Switch Guarantee, which will benefit consumers, small charities and small businesses in Banffshire & Buchan Coast, with more brands to follow in 2014. Not only will the new service reduce the time it takes to switch accounts from between an average of 18-30 days to just seven working days, but it will also help to transparency and choice for customers. Importantly, the service is backed by the Guarantee, which offers protection should anything go wrong with the switch, and will give customers the confidence to switch their bank account should they wish to do so. In the past two years, only 7 per cent of individuals in Scotland have chosen to switch their current account. Despite people in the region showing willingness to switch their providers of insurance and utilities services, there has been an apparent reticence to date to switch current account provider, staying with their current bank for an average of 19 years, and 33% of those using the same bank as one or both of their parents. “I warmly welcome the launch of the Current Account Switch Service and the benefits it will bring to constituents in Banffshire & Buchan Coast. Local MSP Stewart Stevenson has welcomed the announcement of £400,000 of funding to help support families in and around Banffshire & Buchan Coast constituency by the Minister for Children and Young People, Aileen Campbell MSP. Aberdeenshire Council, Homestart and Children 1st have been allocated £250,000 to provide support out of core hours when families and children are most in need. £150,000 has been awarded to Moray Council and Action for Children to allow them to provide a virtual family centre covering rural issues and intensive outreach using sports and recreation to engage fathers. The allocations announced by the Scottish Government will help Scottish charities work with councils to support families who need extra help including access to out of hours support and parenting advice. “The early years of a child’s development are absolutely crucial. It is therefore essential that those families who need assistance are able to access it. “I am pleased to note that both Aberdeenshire Council and Moray Council, along with the charities that they are working with, have been allocated grants from the Early Years Change Fund. MSP for Banffshire & Buchan Coast, Stewart Stevenson, has called on NHS Grampian to implement Prostate Cancer UK’s Quality Checklist as a first step towards delivering the best possible care and support for men with the disease. Prostate Cancer UK has produced the Quality Checklist to be used as a best practice guide for men and clinicians in a bid to drive up standards and deliver more uniform levels of care and support. The Checklist sets out 15 standards for care and support that men with prostate cancer should expect and demand on the NHS, from their point of diagnosis onwards. The document has been endorsed by the Royal College of Nursing, the Royal College of General Practitioners, the British Association of Urological Nurses, the British Uro-oncology Group and the Society and College of Radiographers. Prostate Cancer UK, and a cross party alliance of MSPs, are calling on all Scottish health boards to back the document and ensure it is distributed to all men who are diagnosed with the disease. “There is growing evidence of gaps and variation in prostate cancer care and support in Scotland. It is vital that every man with prostate cancer has access to the world-class information, care and support he needs and deserves if we are to help deliver a better quality of life in the future. 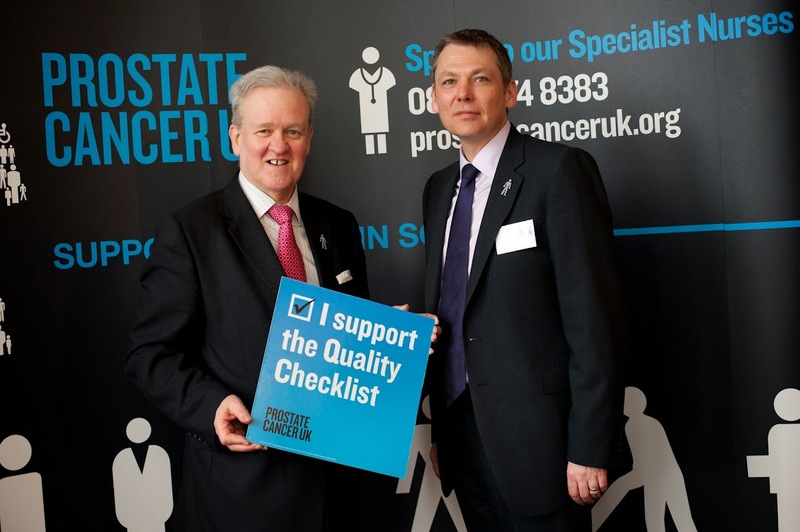 Prostate Cancer UK is working closely with men and their families, healthcare providers, politicians and health care professionals to ensure that the Checklist is adopted and implemented throughout Scotland. To view the Quality Checklist please visit: www.prostatecanceruk.org/qualitycare. Local MSP Stewart Stevenson has welcomed the announcement by airline BMI Regional of a new scheduled service between Aberdeen and the Norwegian capital Oslo, which will start operating on 28 October this year. The new route announcement is the latest in a series of positive moves by the airline in the Scottish and Norwegian markets. The confirmation comes just weeks after BMI Regional launched direct, scheduled flights between Aberdeen and Kristiansund in Norway. Earlier this month the airline also announced that it will operate scheduled services between Stavanger and northern Norway from January 2014. There are currently no direct flights between Aberdeen and Oslo. Visitors to Oslo will find a range of cultural and natural attractions. The city is ranked number one in terms of quality of life amongst European cities. The Oslo Opera House is the city’s newest landmark and the largest cultural building in Norway, matching the artistic heritage found elsewhere in the city which was home to the playwright Henrik Ibsen and artist Edvard Munch. 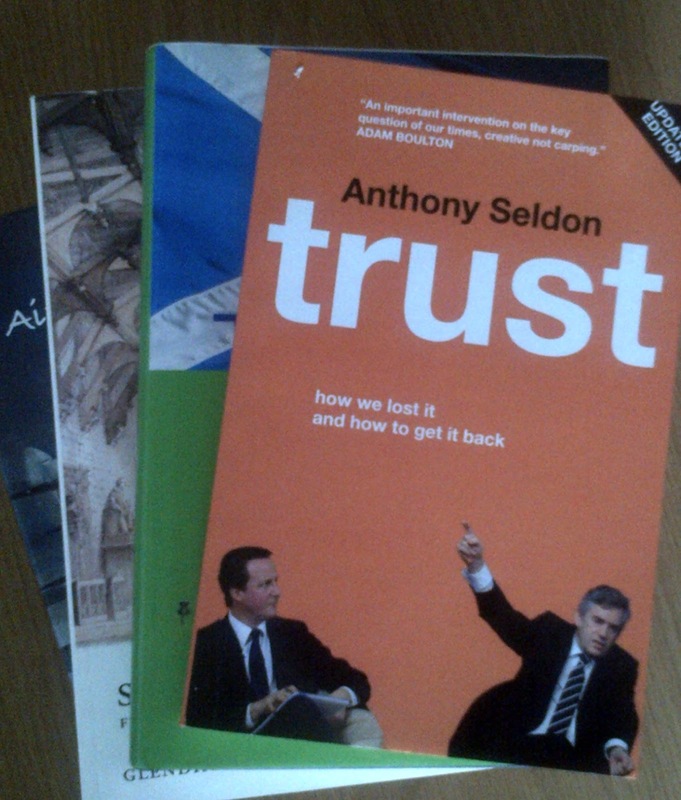 “This is excellent new for the North-east and indeed Scotland as a whole. While I understand that demand from the oil and gas industry has, unsurprisingly, been key to BMI Regional’s announcement, it also opens up a range of new opportunities for leisure travellers in the North-east. Banffshire & Buchan Coast MSP Stewart Stevenson has pointed to new figures released this week which show hundreds of thousands of people in Scotland with long term conditions are better off as a result of the abolition of prescription charges. 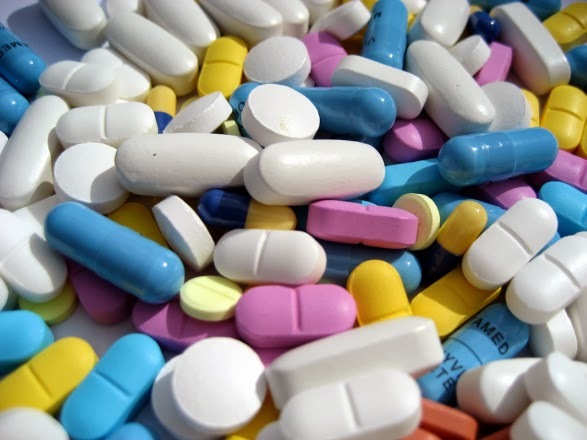 Latest figures show that since 2007/08, the number of items dispensed for long term conditions such as asthma, Crohns disease and diabetes has increased year on year, demonstrating the benefit of removing the barrier of cost. Since charges were scrapped in 2011, there has been an increase of more than 10,000 items for those with Crohns disease and nearly 237,000 items for those with asthma. It is estimated that around 2 million, 40 per cent of the Scottish population have a long term condition. “In the same week which marks one year to go to the referendum on Scottish independence, this policy is being held up as example of how decisions about Scotland are best taken in Scotland. “These figures, along with the evidence from patients themselves, show that people with long-term conditions such as asthma, Crohns Disease or diabetes are benefitting greatly from the Scottish Government’s decision to abolish prescription charges. “Indeed, the increase in uptake by some 10,000 items over the period by Crohns Disease sufferers alone should make those parties who opposed the change stop and think about all those people who were effectively denying themselves medical treatment prior to abolition simply because they could not afford the prescription charges." “It is my firm belief that healthcare should be free at the point of access for everyone and that is why we scrapped prescription charges for all patients in 2011. “Where we have the power to take decisions in Scotland, there are clear benefits for the people of Scotland. “Prescription charges were nothing more than a tax on ill health that Scotland's poorest families could ill afford, and I am proud that in Scotland we took the decision to improve access to prescriptions for all. “Scotland’s health service continues to lead the way, with take up of free eye examinations growing, and free personal care for all. We are also at the forefront of introducing innovative public health measures, such as minimum unit pricing of alcohol and standardised packaging for cigarettes. “There is also a marked contrast between Scotland’s approach to the NHS, based on its founding principles of being free at the point of care, while privatisation in England is growing ever more pronounced and damaging. In contrast, patients in England pay £7.85 per item or £104 for an annual pre-payment certificate. “People with long-term conditions in Scotland do not face the barrier to effective treatment that those in England still do. As a result of an unfair, outdated and arbitrary system of exemptions, research shows that many with long-term conditions in England are severely compromising their health through being unable to afford prescription charges. Local MSP Stewart Stevenson is urging constituents to take part in the World’s Biggest Coffee Morning. To access support from Macmillan visit www.macmillan.org.uk or call 0808 8080000. Banffshire & Buchan Coast MSP Stewart Stevenson has welcomed the announcement of the award of a major contract in connection with the A96 dualling project. “The A96 is important for my constituents and local businesses so the awarding of this contract is very good news indeed. “Along with the more advanced A9 Dualling programme, this ambitious project is further evidence of the Scottish Government’s commitment to supporting the economy by competently delivering major infrastructure projects. Banffshire & Buchan Coast MSP, Stewart Stevenson, has condemned the decision taken by the Tory-led coalition running Moray Council to close seven of the Council’s libraries. 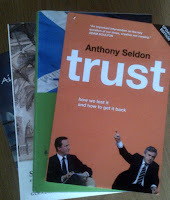 Three of the libraries to close - Cullen, Findochty and Portknockie - are in Mr Stevenson’s Constituency. The decision taken by the Council’s administration went against the advice of officials who highlighted serious concerns should these three libraries close and was opposed by SNP Councillors on Moray Council. “This decision will be devastating for the communities affected. The Council’s officials noted the detrimental effect that taking such a decision would have, especially on groups such as the elderly, the disabled and those families with young children. “I am therefore disappointed to note the Council’s decision to press ahead with these changes. “The vote yesterday seems even more baffling owing to the need for the people to access the internet. With the challenges that many people in rural areas face in getting online, coupled with the UK Government’s decision to force people to access their services online, I am at a loss as to how the Council’s administration have taken this decision. Local MSP Stewart Stevenson has welcomed figures that have confirmed the Scottish Government commitment to recruit 1,000 additional police officers has again been exceeded. 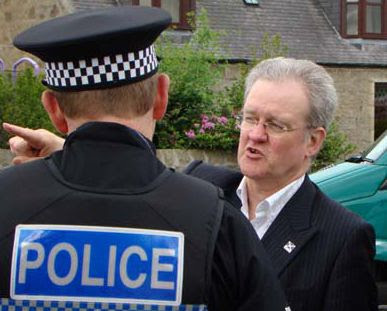 The Banffshire & Buchan Coast MSP says that quarterly figures published on Tuesday are in stark contrast to those south of the border, where the UK Government has slashed police numbers to their lowest point for 11 years. Crime levels in the North-east and throughout Scotland have continued to fall consistently since the SNP came to power six years ago. Police Scotland now has 17,324 officers serving in communities around the country, 1,090 more than was the case in 2007. “The work of police officers here in the North-east and throughout Scotland has been simply magnificent. Their commitment and professionalism is very much admired by us all and is reflected in the falls we are seeing in crime levels.“The SNP Scottish Government has always sought to support our police service by ensuring that they receive the backing they deserve. “Additional officers on the ground has allowed much more time for the police to build good relationships with their communities and allowed them more time to concentrate on crime prevention. “Crime in Scotland is at a 39-year low - but through talking to people in local communities and to police officers themselves I know that there is a determination to continue bringing levels lower still. That has the effect of making our communities safer and more secure places in which to live. 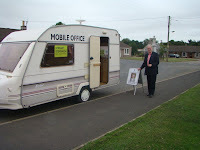 Banffshire & Buchan Coast MSP Stewart Stevenson was busy last week getting out and about in some of the constituency’s smaller communities holding mobile surgeries locally. The SNP MSP visited 37 towns, villages and rural communities in his annual ‘mobile surgery tour’ which is an established fixture, now in its 13th year. “The surgery tour is an opportunity for these communities to engage with their Parliamentarian and for their Parliamentarian to do likewise. It is real grassroots Parliamentary work. “In an age of electronic communications, there is still no substitute for getting out and about and seeing things at first hand and meeting with people face-to-face. “I try to be as accessible as possible all year round and during the course of last week the total number of surgeries I have held since being elected in 2001 reached 850. Constituents wishing to contact Stewart Stevenson MSP can do so in a number of ways: online www.stewartstevenson.net, by telephone on 01779 470444, by e-mail at msp@stewartstevenson.net or by writing to him at Unit 8 Burnside Business Centre, Burnside Road, Peterhead AB42 3AW. Last night’s open meeting with Fisheries Secretary Richard Lochhead in Fraserburgh has been hailed a success by Banffshire & Buchan Coast MSP Stewart Stevenson. 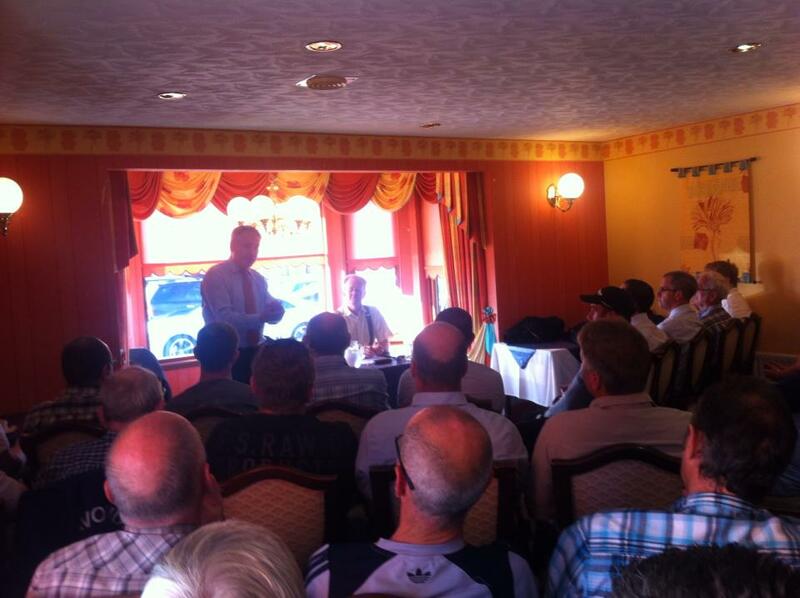 Mr Stevenson, who hosted the event, had approached Mr Lochhead with the suggestion of an open ‘Question Time’ style meeting to coincide with the visit of the Scottish Cabinet to Fraserburgh. Mr Lochhead readily agreed and his Government office circulated details of the meeting to various fisheries organisations. Around 50 people attended the meeting, which was held in Findlay’s Hotel. 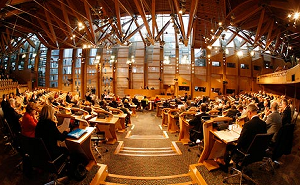 “I’m very pleased that Richard Lochhead agreed to my suggestion to take part in such a meeting. The idea originally arose out of a conversation with one of my constituents on fishing issues and I thought it would be a useful thing to do. “The Scottish Cabinet held a meeting in Fraserburgh earlier in the day and it seemed like a good opportunity to arrange something.